NEW YORK, February 22, 2019 (Newswire.com) – It’s the question every business owner wants to know: How much does PR cost? The top tech and healthcare PR firm MACIAS PR has just unveiled a free tool to help all founders, marketers and business owners identify the cost for any public relations campaign – without even picking up the phone. FreePRQuote.com is exactly what the name says – a free PR quote for any business or industry, regardless of size. I got an email recently from a marketing consultant who I have worked with in the past. She’s introduced me to many great “players” in the business scene and she is a friend, so I want her to succeed. She asked if I would help her with publicity for an upcoming project. Her idea was to push press releases to her audience. I asked who was her targeted audience and she ran off a list that pretty much included everyone. It’s great to have a product that is for the masses, but when it comes to the media, your campaign will be more successful if you narrow down the target. The more targeted a media campaign, the better ROI it will bring to your business. NEW YORK, Jan. 30, 2019 /PRNewswire/ — The award-winning journalist and publicist, Mark Macias, has published a new book – “Tao of PR” – which takes tactics from Sun Tzu’s, “Art of War,” and applies them to PR and crisis communications. The “Tao of PR” takes the famous Chinese military treatise from the fifth century BC and repositions these war strategies for a modern-day strategic communications plan. Macias said his book lays out messaging and crisis communications tactics that can help entrepreneurs or business owners trying to get their story told with the media. The overarching themes of the “Tao of PR” include: I – Laying Plans; II – Waging War; III – Positioning; IV – Forces – Strengths and Weaknesses; V – Engaging the Force; VI – Adaptability; VII – Moving the Force; VIII – Situational Positioning; IX – The Attack; X – Spies and Advocates. Health technology is one of the hottest trends with the media. Anything related to wearables, digital health and health tech bring new opportunities for publicity. We recently launched a consumer media campaign for the world’s first smart belt. Our campaign secured coverage with local TV, NBC News, The Today Show, Entrepreneur and Wired Magazines and others. So how did we do it? We looked for water cooler material and positioned our client in the center of the conversation. Who doesn’t want to be first in life? This publicity and branding campaign positioned our client as the world’s first smart belt. We leveraged new research that documented how the belt was helping men lose weight. In TV, water cooler material is valuable from a programming perspective. It gives the anchors a chance to talk to their audience and discuss issues that are brewing in the community. With this media campaign, we identified the water cooler material. If you’re trying to introduce a new consumer product or tech gadget to the media, reach out to us and we’ll brainstorm over a strategic approach that delivers results. We can also share case studies from the digital health industry, demonstrating the coverage we have consistently secured for our clients. 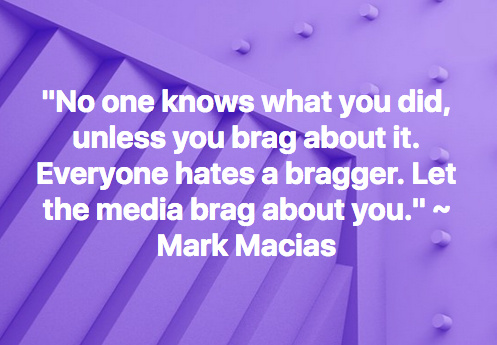 MACIAS PR was founded in 2009 by Mark Macias – a former Executive Producer with NBC, Senior Producer with CBS in New York and author of the business book, “Beat the Press: Your Guide to Managing the Media.” He’s a contributor for CNBC and The Daily Caller, giving PR, media analysis and crisis advice on timely business and political stories. MACIAS PR offers a wide range of services, including publicity, branding and crisis PR campaigns for tech start-ups, healthcare/health tech companies, asset management firms, politicians, financial groups, trade organizations, Internet retailers, nonprofits and service sector industries. 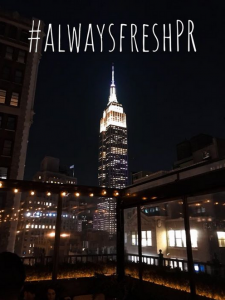 What does the Empire State Building have to do with PR? They both require a solid foundation to withstand the scrutiny of time. MACIAS PR is located across the street from the Empire State Building, so every day I’m reminded of how to sustain an empire over time. Over the years, many buildings and businesses in Manhattan have come and gone, yet the Empire State Building remains. That’s because of its foundation. NEW YORK – October 1, 2018 – (Newswire.com) The top tech and healthcare PR firm — MACIAS PR — has released its quarterly media report, detailing the coverage it secured for clients from July to September 2018. MACIAS PR secured TV segments, newspaper and online features that targeted Millennials, women, fitness conscious consumers, voters, theatergoers and enterprise with stories in Bustle, CBS NEWS, Women’s ENews, Now This and others. A local TV station in Baltimore, Channel 2, ran a long feature on the firm’s nonprofit client that promoted their summer educational tech program, while NY1 ran a segment on a play that MACIAS PR is promoting to New Yorkers. I frequently media train CEOs and founders of companies on how to deliver their message to reporters. One mistake many CEOs make with reporters is not what they say – but what they don’t say. When you speak with reporters, it’s your job to sell your company or service. If you don’t tell a reporter what is great about your product, they’ll never know. You might think reporters already know that your product won an industry award. Or maybe you’ll assume that the reporter read your Wikipedia page and learned about your experience. It’s possible, but do you want to leave your selling point to chance? 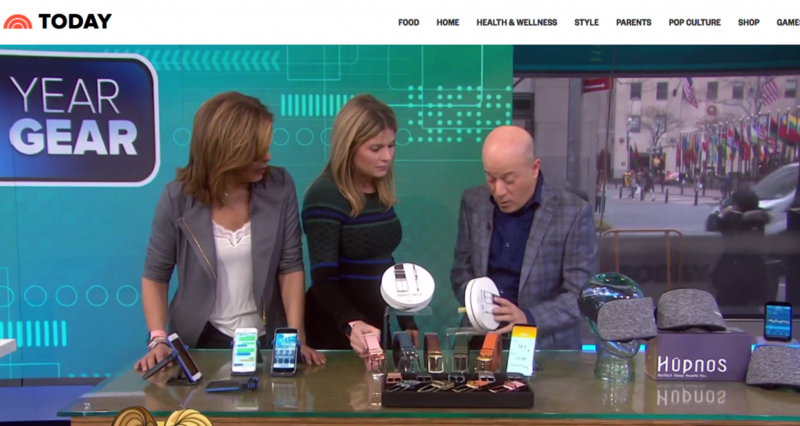 MACIAS PR got our digital health client on CBS 2 yesterday. It’s an example of how we consistently position our clients on the local and national news by identifying timely and interesting angles around our clients. Many people are exercising outside right now, even when the heat continues to rise. Sure, those sports drinks, like Gatorade, might keep you hydrated but they are full of sugar and calories that in many ways off-set the electrolytes we need. But what if you could make your own electrolyte drinks at home – and without the sugar and high calories?